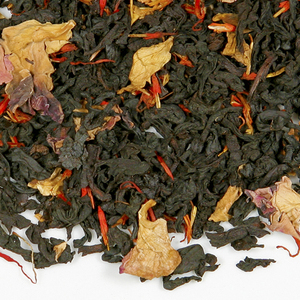 This tea is an experimental oolong from an organic-in-conversion farm from Fujian, China. 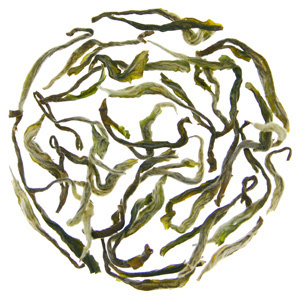 It is harvested from a white tea bush varietal and processed similar to Taiwanese Bai Hao Oolong and Fuding Gong Mei White tea. The dry leaf shows a unique and colorful style with a silvery, white, dark green and tippy appearance. One serving of Purple Bamboo can be infused many times and offers deep, complex fruity flavors and floral aromas. 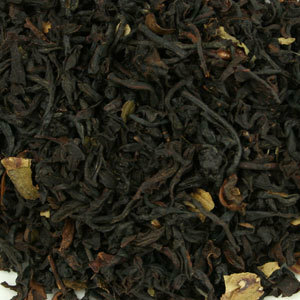 The rich mouth feel and upfront and lingering aroma suggests Darjeeling Muscatel, Lilac, Gardenia, Pit Fruit, Grape and Hops. Use a porcelain guywan, or a Ho-hin. Add 2-3 tablespoons per 5-6 ounces of water. Infuse with 185°F-190°F water. First infusion is 2-3 minutes, second infusion 2-3 minutes, 3rd thru 5th infusions should be 4-5 minutes. Depending on the amount of tea and the water temperature, you may infuse this tea many more times. This one certainly intrigued me. And let me tell you…the curiosity didn’t end with my cup! 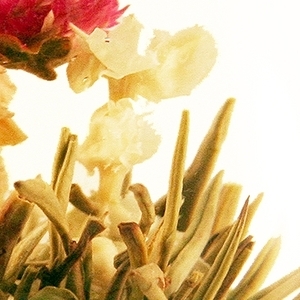 The dry smell of this before infusion was a floral yet earthy-sweet smell. The post infusion was more of a manly grape or maybe a drier wine type scent for description purposes. It’s very light brown in color. The taste is woodsy yet fruity and floral! To describe the fruit like tastes I would probably say a combination of grape, apricot, maybe a hint of plum. It’s also floral like Lilac or even lily – if you can imagine that. And let’s not forget the woodsiness of the taste! Towards the end of the sip I get a surprisingly semi-chewy taste, too! This tea is very memorable and made me think. I like that. 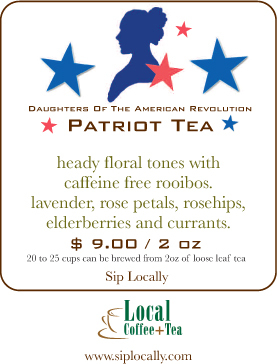 And I like this tea a great deal!